Hello hello! Are you all caught up on your reading? I did mine while I was away, and I have to say, it was certainly . . . interesting. So far this book is not what I expected! But I won’t get into all that just yet. So, I’ve been wrassling with how to best host an effective and fun discussion, and what I’ve finally settled on is this: I’m going to ask a series of pointed questions relating to the Introduction and the first three chapters. However, I’ll reserve my own comments until later, because what I really want is for YOU to take the lead, and to share your thoughts without influence. So, you can respond specifically to my questions, or you can simply offer your own impressions, or you can ask your own questions – all in the comment section below. Which leads me to . . .
Over the weekend we revamped the commenting section. I really adored the custom look that Damian had originally designed, but the framework didn’t allow for much flexibility. With the new system, you’re able to respond to someone directly, under their comment, which keeps things straightforward and streamlined. This also allows for multiple conversations to occur simultaneously on a single post, with no interference. I’m really excited about this feature and it was implemented specifically for the BBC discussions, so I hope you guys enjoy it! Okay, so here are your questions. You can answer them directly, use them as a jumping off point, or ignore them completely. Whatever suits your fancy! 1) McWilliams is, himself, a former “locavore” activist, and at times he seems to speak straight from the heart. But he’s also an agricultural historian, and he brings a certain academic tone into his writing. How does his style strike you? Do you find this book to be an easy read, or is it more of a slog? 2) The first chapter addresses food miles and the issue of oversimplifying how to feed a global community in a sustainable manner. McWilliams argues that food miles are a small and insignificant piece of this large and complicated puzzle. Do you agree? 3) Life-cycle assessments (LCAs) seem to provide a far superior analysis, but do you think that using LCAs is a realistic expectation for the common consumer? 4) McWilliams is pretty hard on the organic movement and its actual ability to feed the planet. After reading his arguments, where do you fall? Have you changed your thoughts on eating organic? 5) Do you think McWilliams did a thorough job of covering the organic issue? If not, what issues or perspectives do you think were missing? 6) McWilliams is an advocate for genetically modified (GM) food. Is he crazy? 7) No but seriously, he seems to make a pretty strong case. But again, do you feel like it was a thorough examination of all the relevant considerations? Did it change your mind? Make you re-evaluate? Make you think? 8) The subtitle of the book promises to identify “Where Locavores Get It Wrong And How We Can Truly Eat Responsibly“. Thus far, do you think that McWilliams has succeeded in doing this? Discuss in the comments below. I can’t wait to hear your thoughts! Well, crap. Now that’s a question, innit? What an interesting background and perspective, thanks for sharing Tara. Hearing it from someone who was directly involved with chemical agriculture, I definitely understand the push for GM on a “less pesticides necessary” basis. I just have trouble getting past a few things. One, that it hasn’t been definitively established that GM *will* lead to a permanent reduction in the need for pesticides (McWilliams admits this), and two, your last point – that GM has only been in use for about 30 years, not nearly enough time to parce out any potential damage. I agree as well. However I feel lik ehe presented a lot of data, but I saw continual holes where, for example, I saw glaring issues that he didn’t address. And I have read research that adresses these missing issues . . . which makes me think he had a case to make, and so he made it. More biased, less objective, for sure. Just my perception, with an admitted bias of my own *against* GM. Hi Inga! I also have a background in bio and chem, but I definitely have a fear of GM crops! I feel like my background actually reinforces my concerns. I mean, look at our history of experimentation with gene manipulation . . . it’s not so good. I worry that what may seem like a safe success now, may turn out to be a failure as more data rises to the surface. As a biologist, my biggest issue with GM is biodiversity, which McWilliams failed to address (he briefly touched on interspecific monoculture, but not intraspecific, which is my main concern). And that’s a sort of privileged position that I’m just not comfortable espousing right now. I think there are too many issues with GM for me to want to feed it to my kid, so who am I to support a policy to feed it to other people’s kids? It’s not like our only options are *current system* versus *GM crops to save the babies*, right? Isn’t there a third (fourth, fifth, etc) option here??? Hello innovation? No? Monika, this comment in it’s entirety hits the nail on the head for me. Couldn’t agree more! Gah! These issues are so complicated! This is so true, and I too don’t know enough about it (in all cases, not just coconuts). I know in the case of the Kenyan green beans, it was argues that it was much better to import green beans from Kenya than to buy local, because the Kenyans depended on that income and it allowed them to prosper (and diversify their diet, no one can live on green beans alone! ), so when locavores boycotted imported green beans, it severely negatively impacted the Kenyan economy and people. I think it’s important to recognize that we *do* live in a global community and sometimes it really does make sense to grow things where they grow best and ship them around the world – it can be a win-win for all sides. However, I’m not sure if this is the case for coconuts (or anything else in particular) and I *would* worry about taking a necessary cultural/dietary staple food. It’s really good! Really thought-provoking! 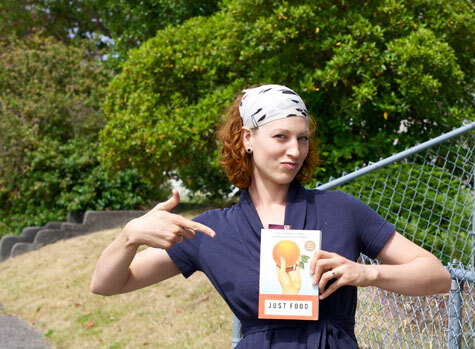 So glad you’re enjoying the book and that’s *awesome* that it’s leading to discussion with you and your friends. Very cool. And I agree with you. I REALLY have the same hopes for the end of the book. I’m ready for some ideas and answers! Oh GM is definitely not the be all, end all for reducing chemical needs. I spot-sprayed right around a hundred gallons of chemical today on pigweeds (noted later in the book, which I finished last night). The pigweeds in our area are already resistant to RoundUp and farmers are either finding a specific chemical for them or are chopping. We’re doing both, but admittedly a lot more spraying than chopping. Does it mean that everyone has a cell phone? Does it mean that everyone has a SMARTphone? Do we take away a culturally significant food because it’s resource intensive and provide a nutrient equivalent substitute and disregard the cultural history of a people? Do we relocate island communities to the next nearest island, but not transplant their culture as well? How do we claim something as ‘sustainable’? Does it have to be free of ‘inputs’ (fertilizers, in food’s case)? Yup. It’s not easy to answer. And I’m a white, middle class, American. Do *I* have any right to answer it? Sigh. Well, a complex evaluation system would require an integration between farmers and the evaluating entity. And Lordy Lordy I certainly hope it’s NOT the government doing anything – they are WAY too swayed by corporate interest, and there’s a LOT of money in food!! 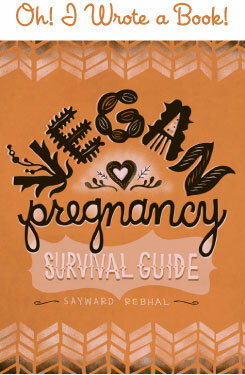 The first thing I want to say is this: Sayward – you, I, and likely, the readers of your blog, represent roughly 15% (max) of the consumer population that care enough about these issues to stop eating meat, eat organic, grow our own food, reuse the grocery bags, etc. Something comprehensive that helps YOU (Sayward Rebhal, not the entire consumer population ;-) make a decision, is something the other 85% of the population doesn’t want to think about. We have to accept that this 85% is the majority, and work in ways to help them make quick decisions with minimal thought. In essence, this evaluation of food would come from a 3rd party that this 85% ‘outsources’ their research to. This 3rd party group, likely a non-profit, that has a comprehensive evaluation system to look at a product (GoodGuide is one that exists already, http://www.goodguide.com/) and has a comprehensive evaluation process. The evaluation, it’s requirements, and it’s results should be available to the consumer on a detailed level, should the consumer be interested. The key to this being successful is transparency, and encouraging the consumer to get as involved as they would like to be. For consumers like Kate & Sayward, we should be able to get in there and ask pointed questions. For consumers like Jane Consumer, she just needs a simple indicator that ‘Yup, Jane Consumer, this is Certified Sustainable’. Jane Consumer feels good she’s ‘sustainable’, Kate & Sayward feel good that we can talk directly to the folks that help consumers make sustainable decisions. Oi. What do you think Sayward? Kate, this pretty much sums up what I was thinking – I just haven’t had the time to figure out how to articulate it. Thank you! Sayward, what do you think? I promise to get back into this discussion tomorrow! See, that scares me a lot – already resistent to Round-Up! it’s just like the overuse of antimicrobial soaps, and now we’ve got super bugs. It seems, at least to me, that this moves us further in the wrong direction, in an endless (and expanding) cycle. A snowball. But, admittedly, I don’t know as much as I probably should to comment on the topic. I just feel like . . . we should be moving in a *different* direction. But, that’s basically the emotional/idealistic perspective that McWilliams is frustrated with. Guilty! Personally, I think I’d prefer the government to an NGO like a non-profit. The government is corrupt, but not any more corruptible than any other organization. At least the government is (theoretically) accountable to the people! I like that organic certification is governmentally regulated, for example. Hmm, so much to think about. Case in point, quinoa in Bolivia, a traditional staple, the commercial farming of which is now subsidized by the Bolivian government. Farmers get so much more money for exporting quinoa that it has become unaffordable for Bolivians to eat. I think the idea of “feeding the world” is a lot of hubris. It’s helpful for me to keep in mind that commercial farming has led to an overfed developed world and an underfed developing world. Commercial farming giants are able to move their crops to places with the most desperate work forces exist, so that those french fries everyone gets with their fast food meals are from overworked, underpaid, abused farm workers. The thing to realize is that organic farmers apply BT only when necessary. In GM crops it’s in every cell of every plant and in the plant waste, so it gets everything that takes a nip. This kind of overkill will increase the insects’ biological imperative to evolve with resistance to bt, rendering a time honored biological pest control completely useless. I’ve read of entire herds of sheep dying from grazing on cotton field waste after the cotton harvest, a traditional method in some places. I find it a somewhat difficult read. Slow going. The biggest issue I saw was his omission of monocropping. He wrote about the problems associated with interspecific monocropping – that is, only growing one kind of food crop at a time, not allowing for diversity of species which is much more sustainable. But he totally ignored the issue of INTRAspecific monocropping – that is, losing all the diversity *within* a single species, which is what tends to happen when you have GMO superseeds that overpower and overtake all of the heirloom varieties. Then suddenly all the corn in the world comes from a single strain of seed, so what happens when a virus comes along that is particlularly damaging to that one strain? You lose all the corn in the world, that’s what! This is why interspecific diversity is CRUCIAL for evolution and adaptability, and it is seriously threatened by GMO crops. Just one example . . .
Then he knows nothing about agriculture that works!!!!!!!!!!!!!!!!!! !